Location: Saint-Martin-sous-Vigouroux, in the Cantal departement of France (Auvergne Region). Ownership / Access: Sophie Couillaud. 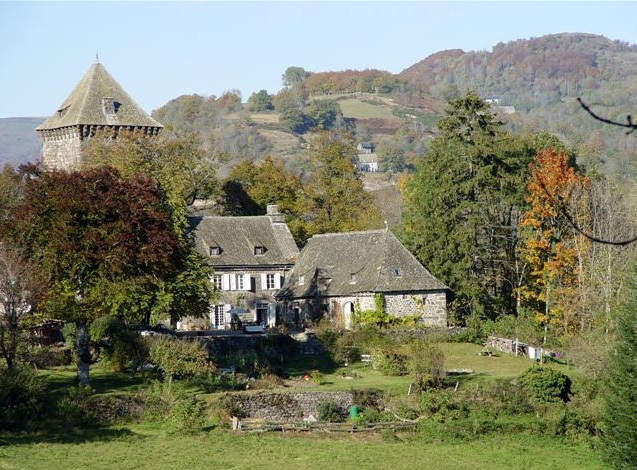 Notes: The Château de Lescure is a castle on a hill overlooking the valley Brezons the town of Saint-Martin-sous-Vigouroux Cantal. It includes a four-storey rectangular tower, crowned with battlements, with a main building added in the seventeenth century. The tower, built in the eleventh century, the first floor was accessible by a ladder. It was partially destroyed during the Hundred Years War and then restored in the fifteenth floor with less, as currently.